It's 21:30 in Galliate, Italy right now. City View Urban landscape of Galliate, a small town near Novara, in North-West Italy. Novara: View over Novara, 4.3 miles away. Novara: Basilica S.Gaudenzio - Monte Rosa, 4.3 miles away. Biandrate: Traffic A26 - KM 127,7 - A26/A4 itinere nord, 11.4 miles away. 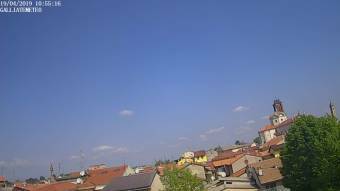 Busto Arsizio: Traffic A08 - KM 25,6 - Busto Arsizio itinere sud, 12 miles away. Busto Arsizio: Traffic A08 - KM 24,5 - Svincolo Busto Arsizio, 12 miles away. Castellanza: Traffic A08 - KM 20,4 - Castellanza itinere sud, 12.9 miles away. Gallarate: Traffic A08 - KM 30,9 - itinere sud, 13.5 miles away. Gallarate: Traffic A08 - KM 30,2 - A8/A26 itinere nord, 13.5 miles away.